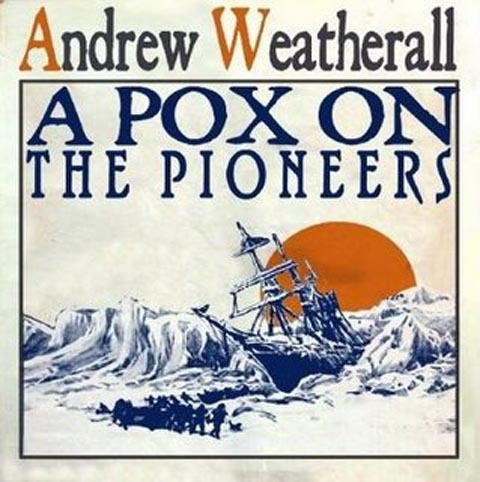 First up, thanks to everyone that participated last week, and thanks to Jaye for the excellent selection - The album, as you all now know, was Andrew Weatherall's "A Pox On The Pioneers", which a couple of people guessed, but left most of us guessing until the end. Great record! "This is one of those albums that I can play again and again over time and still love. Most likely some of you will know it within seconds. For others it may be a new pleasure. And if you don’t like it, see me outside. The special thing about some music is that it can take you to a different space, mood, world. Just switch on and …you’re somewhere else. I also like records that announce their arrival with a slightly cheesy sound effect, so don’t miss the start. See also Roxy Music’s Love is the Drug and of course, Wham’s Club Tropicana for other examples. Don’t all rush at once though. So settle down, let your mind wander, and see where it takes you." Download link is here (mediafire link), or there's a stream available on Mixcloud here. Kick off time is 8pm BST (GMT+1) . As always, search #listeningclub and follow @listeningclub to see what's going on... as you should know by now, the best comment, as picked by @Holette, will get the chance to select next week's album. See you at 8... try not to be late!